As temps drop there is always an increase in calls to emergency medical services all over the Delaware Valley as carbon monoxide emmssions from leaky heating systems put residents lives in jeopardy. It's not. Look at this. Who is at risk from Carbon Monoxide poisoning? All people and animals are at risk for Carbon Monoxide poisoning. 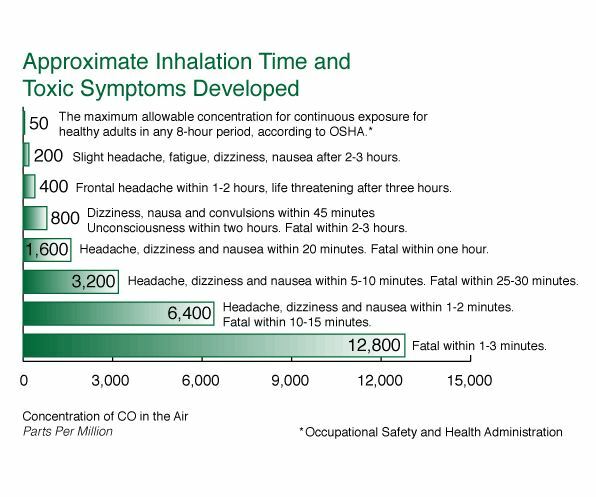 Every year, more than 400 Americans die from unintentional CO poisoning, more than 20,000 visit the emergency room and more than 4,000 are hospitalized due to CO poisoning. Fatality is highest among Americans 65 and older. Use a gas range or oven for heating. Use a charcoal grill or a barbecue grill indoors. Use a portable gas camp stove indoors. Use a generator inside your home, basement, or garage or near a window, door, or vent. Buy a handful of good carbon monoxide detectors at your local hardware store and install them as roughly shown in this diagram. Our certified home heating technicians perform a multi-point checklist of pre-season checks on your heating system, including a close inspection of the vents and ducts that pipe the carbon monoxide safely out of your living space. If you're interested in scheduling a service call so we can check your system or install new carbon monoxide detectors in your Delaware Valley home, and since it's heater tune-up time in the Delaware Valley anyway, please click the button below and let us know a little bit about your situation. It should less than a minute. 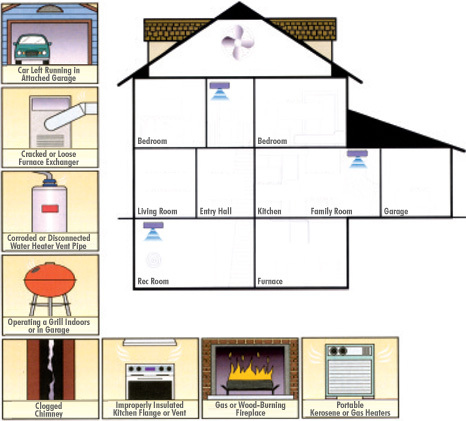 Protect your home comfort system for less. For as low as $9/month! Watch the video or learn more HERE.